The worst part about having a Restoration Hardware credit card is that as soon as you pay the darn thing off, they send a $75 gift card good for your next purchase. Don’t know if y’all shop at Restoration Hardware very often…but there’s not much they offer for only 75 bones. 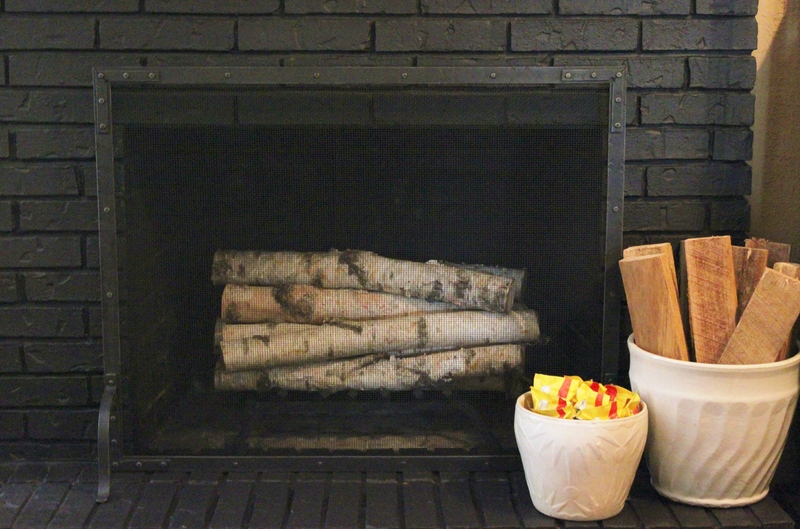 It does, however, take a small chunk off a slightly larger purchase. 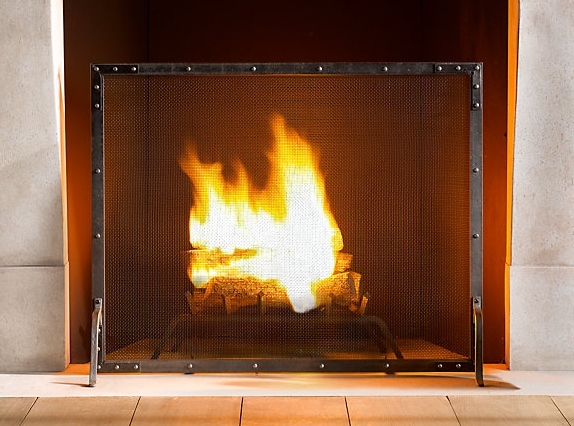 Like this slightly industrial looking Rivet Hearth Flat Panel fire screen. Not that there’s anything wrong with it……. 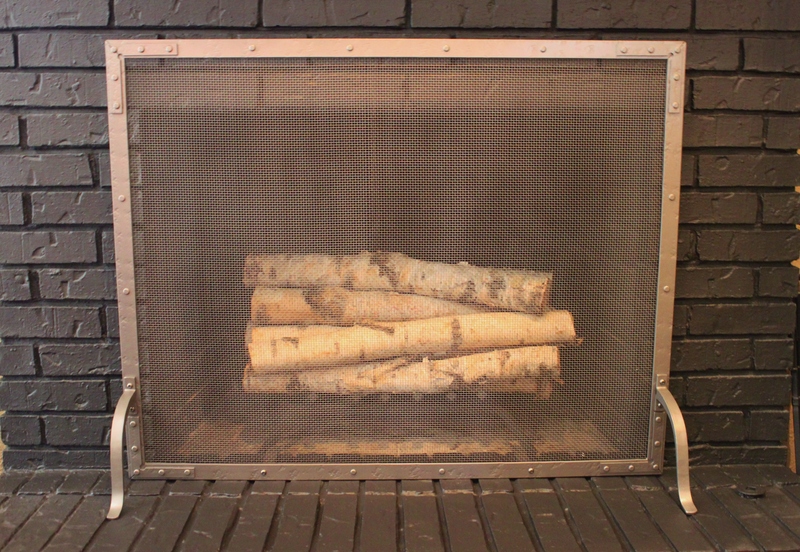 Now, thanks to the high-pressure sales people at Restoration Hardware….we have this. Does it look to y’all anything like it does in the RH catalog picture? Scroll back up if you have to. It looks like it was spray-painted flat silver……..WTH? No worries, I have a plan. 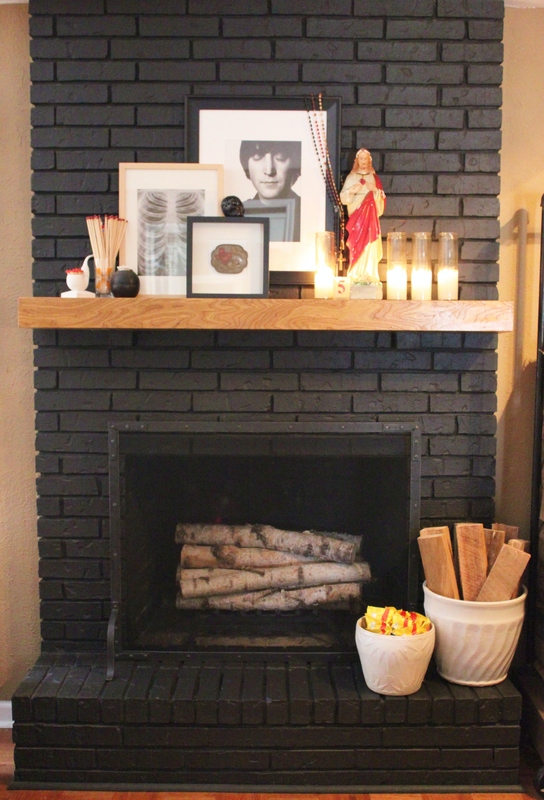 Love to spray things black. It’s almost a hobby for me. 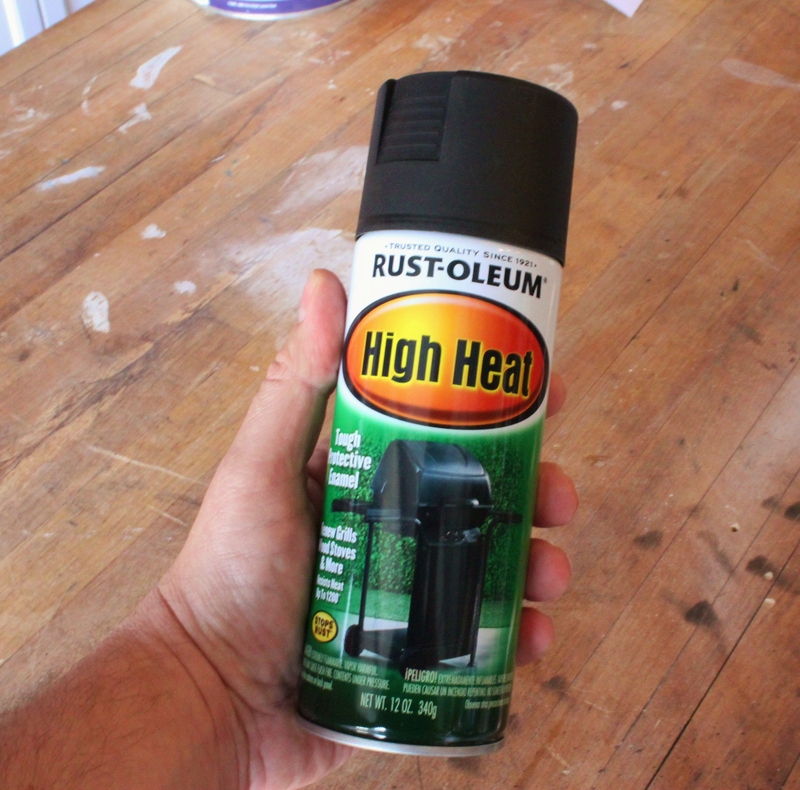 I have some Rust-oleum “high heat” flat black spray paint. Of course I do. 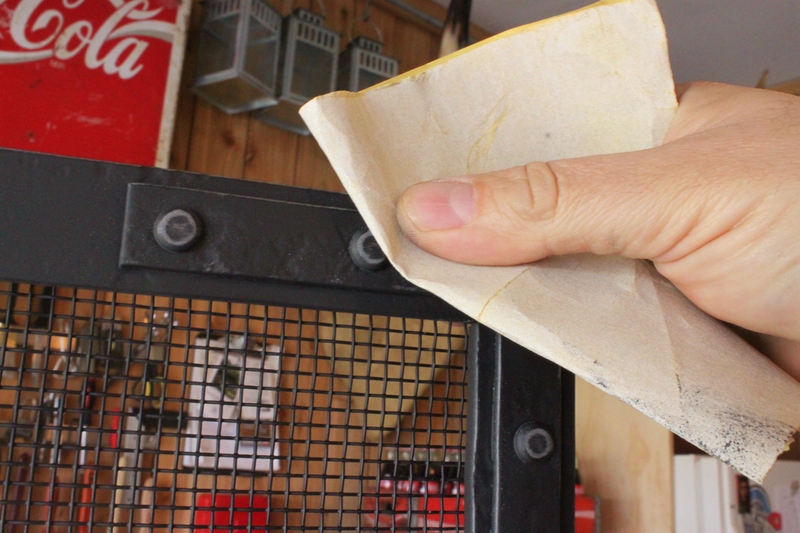 We used it on the last fire screen already. 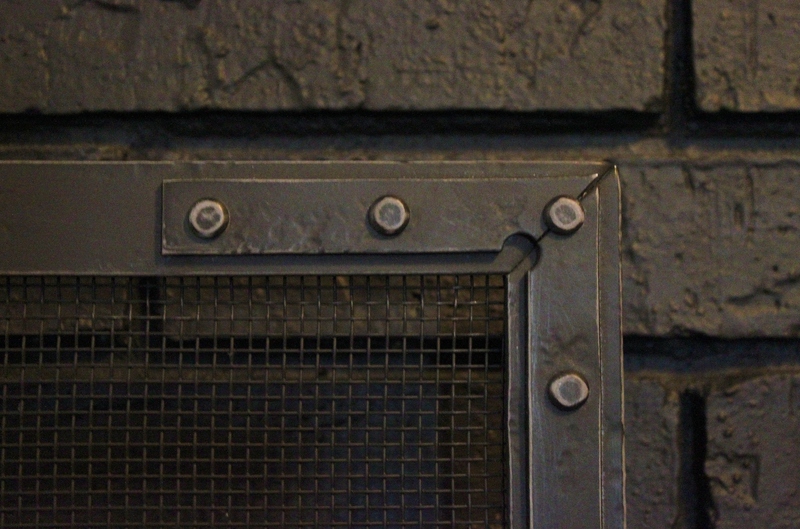 But just to keep that thing from looking like it was simply sprayed black this time instead of silver, I took some fine grit sandpaper to the edges…….just a little. To let some of that silver show through. That light sanding gives the screen just enough depth. 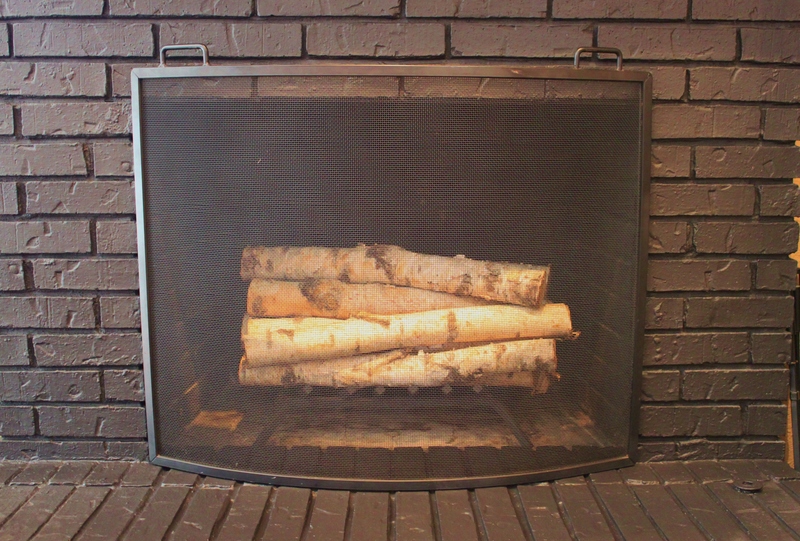 After all, we want guests notice the blazing fire……..and not the silly screen.